Ok. Now that I've done a quick primer on what cap-and-trade is all about, I'll dig into the latest news out of Washington on the Waxman-Markey energy and climate bill. The bill is a cap-and-trade carbon emissions bill modeled after similar legislation enacted in Europe. Recently, the Congressional Budget Office (CBO) released a report about the expected costs to the average family of the proposed legislation. As it happens, the results of the study are less interesting to me than one of the inputs to the study. The main input that surprised me was the CBO's estimate of the cost of a 2020 permit to release a ton of carbon emissions. Their models have it priced at $28. That's obviously a big difference from the near term $3.23 per ton pricing we're seeing for the Regional Greenhouse Gas Initiative (RGGI) auctions. It makes some sense of course, because the number of carbon allowances is expected to decline over time. But even though I've seen estimates as high as $10-15, I hadn't seen a credible source such as the CBO publish a number so high. To make matters worse, the CBO is projecting emissions allowances will cost even more in the years following 2020. The impacts of new carbon legislation are likely to be felt most from PSNH's Merrimack Station and similar coal fired power plants. As I've posted before, the 496MW Merrimack Station is an important part of PSNH's power generation portfolio. It's also one of the largest sources of carbon emissions in the state. The plant generates around 3 million megawatt hours of power and emits about 3.5 million tons of carbon each year. For comparison, a natural gas plant would emit just over half as much carbon to produce the same amount of power. When the results of the latest RGGI auction came in at $3.23 per ton of carbon emissions, things looked relatively good for Merrimack Station w.r.t. emissions costs. $3.23 per ton times 3.5 million tons results in an $11 million annual emissions cost. Nothing to sneeze at, but pretty manageable when you consider that by using coal instead of gas or oil, the plant is probably saving us $100-$250 million per year on fuel. However, if you assume something like the CBO's estimate of $28 per ton, the economics of coal become tenuous really fast. 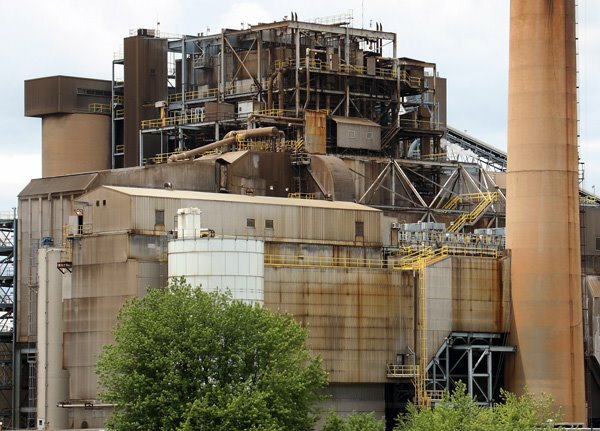 $28 per ton times 3.5 million tons leaves us with a $98 million annual carbon bill for the plant. When you add in the $457 million capital cost for the mercury and sulfur scrubber (spread over 15+ years), plus the $10+ million per year it will cost to run the scrubber, coal could become the most expensive fuel for making electricity, rather than the least expensive. Fortunately, that's the worst case scenario and likely wouldn't kick in until after Merrimack is retired. Currently for 2020, the proposed legislation calls for giving away credits to cover as much as 83% of power plant emissions at no cost. That would cut the $98 million in carbon cost down to under $20 million for 2020. In addition, further offsets may be available from investments in renewal energy sources. An important point to consider is that the carbon allowance allocations are based on the current emissions from electricity production. If PSNH were to retire Merrimack Station in 5 years, they would still get the $80 million worth of free allowances for 2020 (and other years). In that case, they could buy electricity from other sources and sell the $80 million in carbon allowances to offset the cost. Regardless of how you slice it, this bill could significantly increase opportunity cost of making coal-based electricity. It's early in the process, and I don't mean to sound alarmist, but IMO, the CBO carbon allowance estimate should be a wake up call for us here in NH. Although there's major uncertainty as to what the final bill will look like, or even if a bill will pass at all, the cost estimates of carbon emissions are pretty staggering and are sure to reignite the debate about the economics of the scrubber project and what our power generation portfolio should look like over the next 10-20 years. Personally, I'm still uncertain about the scrubber. The economics of the project depend on several unknowable things. Legislative actions or market pricing for coal and gas could easily change the math at the drop of a hat. To be sure, having coal in our energy mix does provide a hedge against possible oil and gas price hikes, but the cost of the hedge is now less certain. Anyone who claims this is a slam dunk one way or another has a really good crystal ball. OTOH, if $28 per ton is even in the ballpark of the cost of the damage that a ton of carbon is doing to our health and to the environment, then electricity from Merrimack Station may not be such a great deal for us after all. I'll sure be following this debate on the edge of my seat, doing my best to understand the tough and complicated issues and hoping our leaders can call it right.